The holiday season is just around the corner and this is always my busiest time of year. 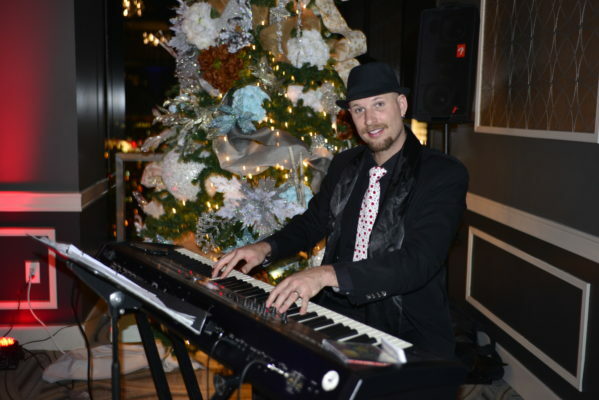 As a professional pianist for over 25 years, I have played at holiday parties that were a wild success and others that could have been improved with some better preparation. A big element that people sometimes gloss over when planning their event is the music, or more specifically, the live music. Maybe this is because there are so many other things to be dealt with such as the food, bar, staff, guests, and decor, that people figure the music will just take care of itself somehow. Well, the fact is that the music might actually be the most important factor that separates a good event from an over-the-top success! I often experience the same (easily solve-able) issues over and over again, so I thought it would be helpful for me to publish my own suggestions for working with live musicians for your holiday party. Dates during the holidays fill up quickly – especially Friday and Saturday nights. I have many clients that book me for their party every year, and I start getting bookings for December holiday parties by September. Bottom line: if you want the best musicians for your event, it definitely pays to plan ahead. There are a lot of musicians out there with a wide range of skill level and experience. Any professional musician that you are considering working with should have their own website with videos, audio samples, and photos so you can get a sense of what they look and sound like. Questions you may want to consider and ask: How much experience do they have playing for the type of party you are planning (formal, corporate, casual, social)? What is their repertoire like? Do they have reviews online that you can research on websites such as Yelp? Is there a place where you can go hear them play live before making your decision? Do you want the music to provide ambiance in the background, or be more lively and prominent? Are there different portions of the party where you will want the music to signal a shift? Do you want holiday music played? 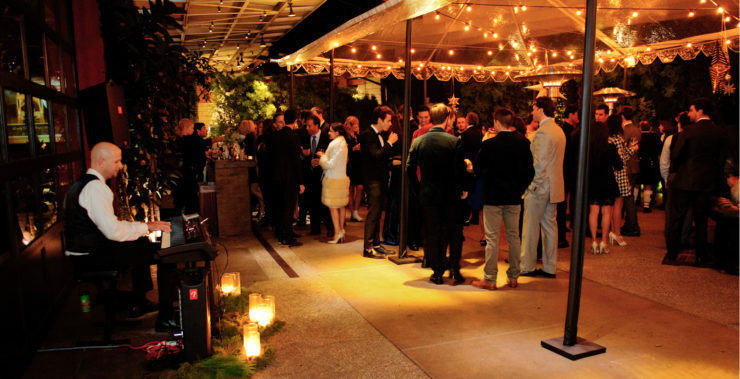 Corporate parties sometimes prefer very little or no holiday music. Others want almost entirely holiday music. And some want a variety. Whatever you prefer, make sure the musician knows this in advance. You may also want to ask for a repertoire list to make requests or provide specific guidance about the type of music you and your guests will enjoy. Will there be children at the party? If so, it’s great to have the musician prepared for this with some favorite children songs. Do you envision your guests singing along? If so, it is good to determine at what point this should happen and a cue to begin getting the guests involved. Of course, often times this just happens organically and that’s great too. Some of my favorite times playing holiday parties are with people gathered around the piano singing. I even have lyric sheets for many popular holiday songs that I often bring along – just in case! Here’s a video of me playing a variety of Christmas and festive holiday music. You can also listen to my solo piano Christmas album here on my website. Of Course, this only applies if a piano is being used. But, since this is my instrument, I can tell you from my personal experience that there is nothing more depressing than showing up to play for several hours on a beautiful, out of tune piano. With all the work and preparation that has gone into the event, this is one “key” area not to be missed! If the piano is provided by the venue you are using, check with your point of contact at the venue to find out when it was last tuned and ask if it has been moved or disturbed in any way since. Ideally, the piano should have been tuned within the past month or so and with no major disturbances since then. If the event is being held in a private residence and their piano being used, it is a good idea to go ahead and plan to have it tuned the day before or morning of the event. (Unless you are absolutely certain that it was recently tuned and is still in tune.) 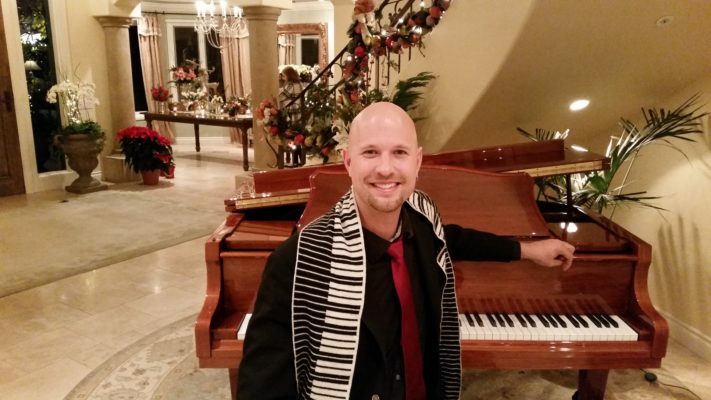 Speaking for myself, even if the piano is only slightly out of tune, I notice it and it puts a damper on my ability to play my best and focus on connecting with the guests. In my opinion, an out of tune piano can create a subtle disharmony that hovers in the subconscious of the entire party. We have a great piano tuner we can refer you to if you need one – but keep in mind it’s a super busy time of year for him too, so it is best to plan ahead and schedule in advance. Ok, what’s worse than an out of tune piano? Playing in an empty room while all the guests are enjoying cocktails, food, and each other’s company in the real party room of the venue – by the bar! People will ALWAYS congregate wherever the food and drinks are. It seems obvious, but I can’t tell you how many times I’ve shown up to play an event where they somehow thought it was a good idea to separate the bar and the music. Their rationale goes something like, “Oh, we thought there would be more room this way” or, “This way people will move around more.” No. They won’t. You know how when you go to a house party and everyone congregates in the kitchen? It’s because that is where the food and drinks are. So, unless you have a stage for the musician, my recommendation is to place the music right where the action is – in the same room as the bar. If your space doesn’t allow for the food, drink and music to all be in the same room, then split up the food and drink and put the musicians by the bar. If you follow this advice, your party will be rocking all night! I hope this information is helpful for you and that your next party is a big success because of it! Of course, Kim and I would love to work with you directly for your upcoming holiday party so please don’t hesitate to contact us to see if I am available!